IGC Paper Preliminary Program showing all of the papers and authors who were scheduled to present at the IGC meeting in Beijing. (Maybe as many as 15-20% did not show up to present). This only shows the papers. You will need to see the sessions program, below, to match the time and room with the session that the paper is in. IGC Beijing Preliminary Session Program (session titles only, not individual papers) ​- also on the IGC website. - I tried emailing a reservation request to the Hotel Soul in Suzhou, but they did not reply. I then found that I could book the rate of US$70/night (the same as the conference rate) directly using their website reservation system. However, there were only a handful of rooms left at this price when I last checked. - I have also updated the Meeting Venue page with most of the information that the Organizing Committee has recently sent. - The post-meeting seminar at Anhui Normal University, which was mentioned earlier on this website, has been canceled due to scheduling difficulties. On a somewhat related topic, I recently returned from a one-week visit to China, during which I struggled for many hours trying to access my Gmail account and other Google services. After the first VPN service I subscribed to failed, I tried ExpressVPN (US$13/month), which worked really well. The bigger challenge was getting an internet connection that was stable (it kept disappearing for various lengths of time), but once I was connected, ExpressVPN enabled me to access everything as if I was not in China. It also works on a smart phone, but I have not tried that yet. Friends in Taiwan told me that they could access Google using their university's VPN, but that did not work for me with NAU's VPN. Also, Yahoo! seem to be totally unblocked in China, and Outlook is probably the same, though I did not try that. We advise you that if you would like to attend the 19th, August Nanjing Tour, please guarantee you stay in Nanjing that day because the daytime does not allow you both to attend the whole tour and depart from Nanjing. Please reserve your hotel room as soon as possible, because the rooms are limited. If you will not depart Nanjing on 19th, August, and are willing to attend the tour on 19th, August, please let us know as soon as posslble. If you would attend the Suzhou and Nanjing field trip, please register in Suzhou hotel for the night of 15 August (1 night). (Please find the the attached transportation file "transport guide from Shanghai to Suzhou Hotel" ) . If you would not attend the field trip, please register in Nanjing hotel 16 to 18 August (3 nights). (Please find the attached transportation file "transport guide from Shanghai to Nanjing Hotel" ) . If you would like to have a poster show instead of oral presentation, please prepare your poster all by yourself. We would display your poster during the symposium. Thank you very much! We are looking forward to seeing you in Suzhou and Nanjing! 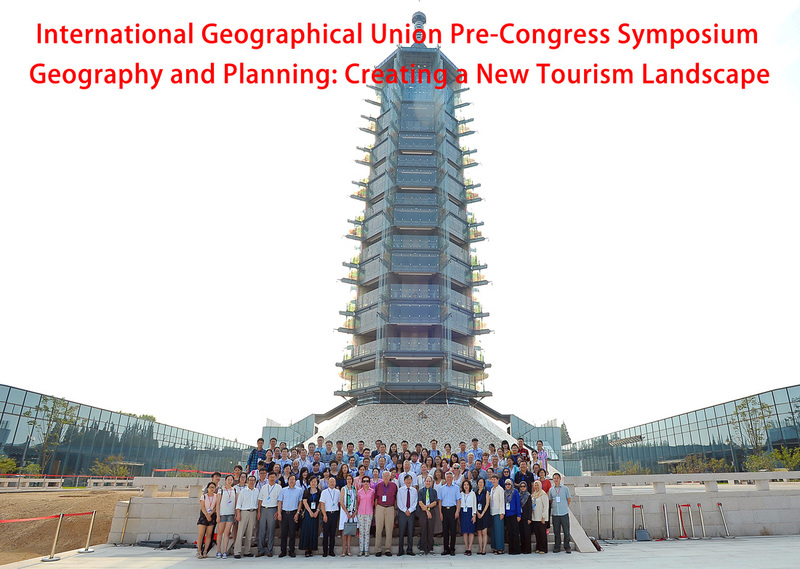 On behalf of the IGU Commission on Tourism, Leisure & Global Change, the Geographical Society of China Commission on Tourism Geography and Nanjing University, we sincerely invite you to participate in the International Geographical Union Pre-Congress Conference, to be held in Nanjing & Suzhou, P.R, China on August 15-18, 2016. The theme of the IGU Pre-Congress is Geography and Planning: Creating a New Tourism Landscape. Through this, the conference aims to identify practical solutions, chart new directions, and create opportunities for sustainable tourism development in these special environments. Therefore, we encourage the submission of papers that explore ‘missing thinking’ in tourism geography. In addition, a variety of excursions in Nanjing & Suzhou will be organized so as to provide participants a chance to appreciate the cultural history and natural scenery of China. Abstract submissions have now begun. We thank you for your consideration and look forward to hearing from you. Our Organizing Committee will make every effort to create a harmonious environment for this conference. Should you have any questions, please contact the Conference Secretariat at jiezhangigupre@126.com. - Space is limited for this meeting. All international participants must either submit an abstract through the conference website or directly notify the Conference Secretariat (if attending without presenting a paper) by 15 April 2016 to participate in the conference. If your name is not on the participant list by 15 April 2016, then you will not be able to attend the meeting.